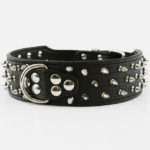 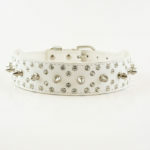 This collar will make your dog stand out in a crowd! 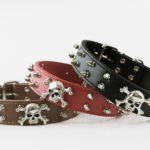 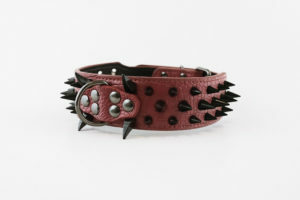 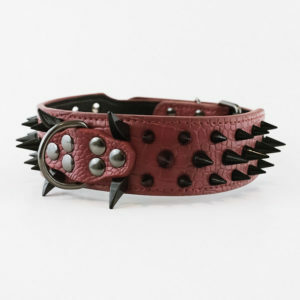 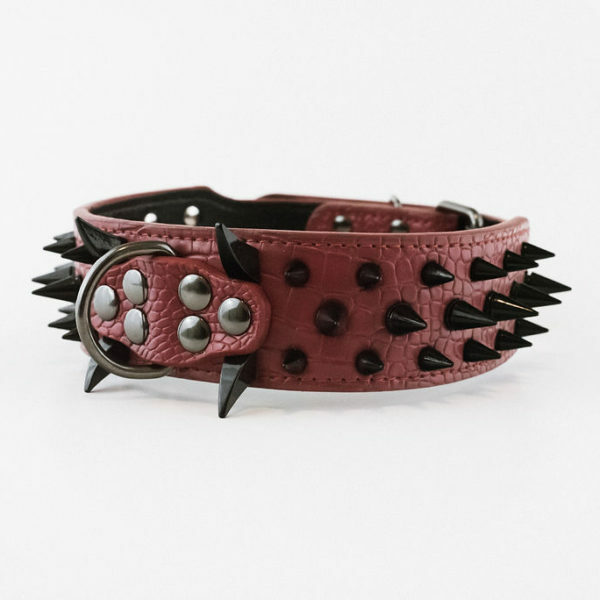 Wide bright red collar with sharp black spikes. 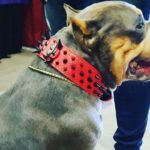 Perfect for your Pit Bull, American Bully, Cane Corso….or any other large breed dog. 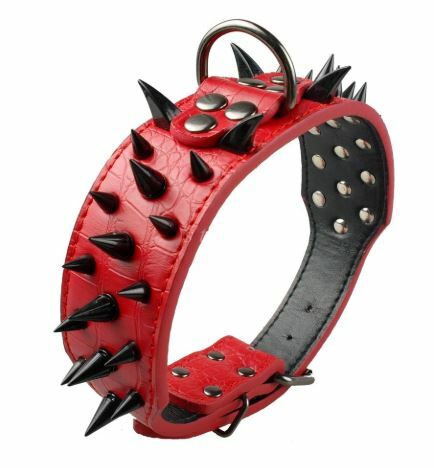 Please note that the sizes in this chart represent measurements of the collars. 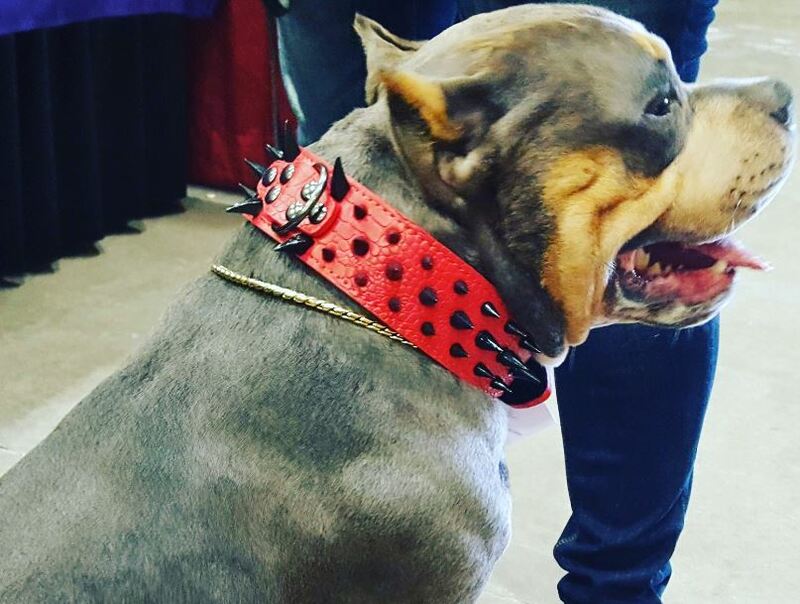 Please plan to allow for enough room to fit your dog snugly without being too tight.